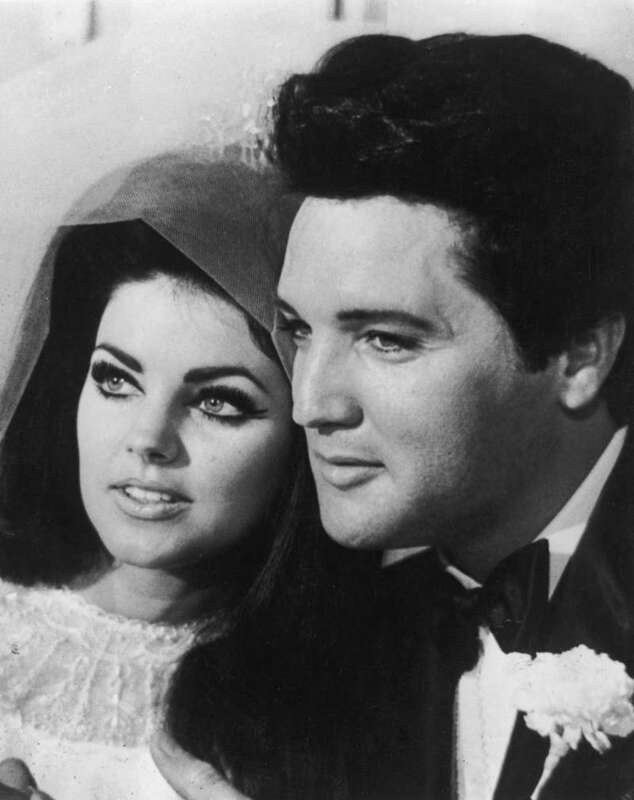 Elvis and Priscilla Presley – their love story is still fascinating fans, and even though it seems no secrets left in this story, Priscilla is still revealing some interesting facts from their married life. She confessed, that her teenage years were not exactly normal, she tried to fit in to the world of Elvis, famous and luxury. She had his friends, listened to the music he was choosing, watched those movies he wanted to watch. Priscilla did not mind it, she knew, she had to adopt in order to survive. But some weird things of Elvis were so hard to adopt too. Their life resembled a bubble. Elvis did not like to go out much. He suffered from a weird obsessed by his appearance, with the way he looked on the screen, so even the idea of being caught by paparazzi during lunch was terrifying to him. That is why they were seldom going out to the restaurants, he didn’t want anyone see him eating. Instead, they had a cook at home, available any time. It scared him that he might look fat or his hair would be messed up, and it was the reason why he never watched his own movies. Sometimes Priscilla sneaked to the studio stage where Elvis was working, but she did it secretly. Knowing that she was there watching him could intimidate him, and then he could do something wrong. Elvis was extremely self critical, and this quality came out in their relationships too, in every aspect of it. Elvis was married once in his life, but when it comes to his taste in women he preferred virgins. Their relationships with Priscilla were platonic for 7 years before their first time together at their wedding night in 1967. 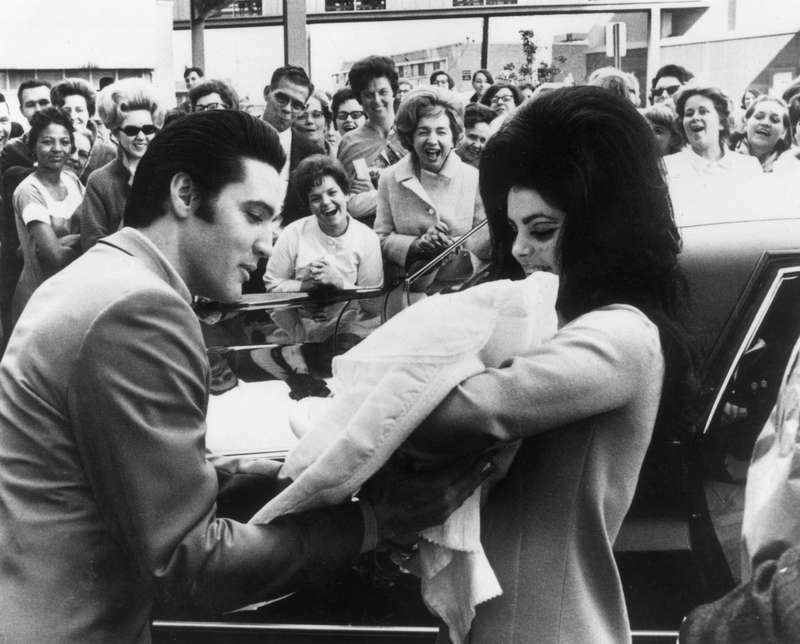 After their baby daughter Lisa Marie Presley was born, he started to look at Priscilla differently, his image of her – young and innocent has changed, she became a mother, and it contradicted the whole idea of sexuality according to Elvis. Still Priscilla admired him, he saw him as a big star, an idol worshiped by many. She loved seeing his performances, being out with him and receiving attention from the press. It was something she could enjoy – she lived in his shadow, walked his steps, her friends and lifestyle was chosen, and she went with the flow. They filled for divorced in 1972, it was time for Priscilla to go out of a bubble. She felt they have become different people with opposite life directions. But there were no hard feelings, they just grew apart. Marriage changes people, it makes you do something you must, not something you want, and this way people become less sensitive to each other, take things for granted. This is how Priscilla felt, and she was starting a new life back then, trying to understand where she belonged. It is touching how loyal Priscilla was to her husband, and she still is. She is proud to have been the part of his life – a big icon of music world, truly the King, and probably she will have more to reveal about their life with time.